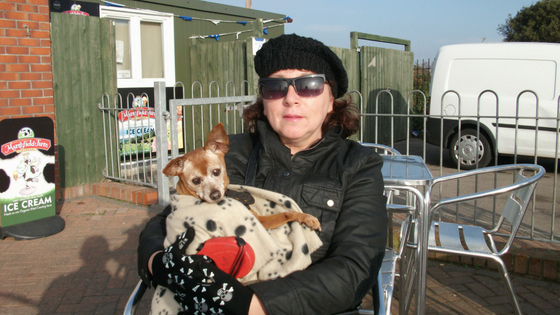 Hello everyone and welcome to my website about caring for a senior dog. Let me begin by telling you how passionate I am about animals, and helping the people who share their lives with them. One of the ways I do that is through articles like the ones you’ll find here. Although a lot of what I write can be applied to dogs of all ages, my focus is on the care of senior dogs. Here you will find lots of helpful tips, advice and even products that will help make their lives safer, happier and more comfortable. You may find it interesting to know I didn’t grow up with animals, nor did I know anyone who had pets. Do you know that one of my first encounters with a dog was when I was 25? My only encounter with cats were strays. Sounds unbelievable doesn’t it? I know it does to me. I sometimes wonder how someone who is so crazy about animals and passionate about their welfare, didn’t grow up with them. The love affair began when my boyfriend at the time came by with a puppy, and it’s as though a switch was flicked in my brain, and that was it. It was the beginning of my journey into the world of volunteering and adopting. I turned my love and passion for senior dogs into a way to help them and their parents by creating this website I’m so proud of. It’s growing everyday into the one stop resource I want it to be. I created a Facebook group called Senior Dog Care Club, a kind, caring and compassionate community of people asking for and offering support, advice, tips and yes a shoulder to cry on. I offer virtual dog training, meaning dog training and behaviour consultancy services are offered through Skype or FB video. I advise on a host of issues including, but not limited to – senior dog care, keeping your senior dog comfortable, behaviour issues such as: on leash aggression, separation anxiety, non stop barking, urine marking, resource guarding… Experience with hundreds of clients over the years has shown me that a lot of the help they’re looking for can be offered remotely. Meaning, a trainer does not have to be in their home to offer the one on one support and help they need. Sometimes that is really the only way, but certainly not always. If you have any questions, or I can be of any help I would love to hear from you, so please leave a comment below. Hello Hindy! Wonderful site! I had a senior dog, who unfortunately lost most of his hearing. But I truly believe that music calms the savage beast, or the even the domesticated pet! I used to leave on music or TV while I was out, for my dog Ace, before he lost his hearing. He always seemed at ease when we came home. This is a wonderful way to help our pets. Your site offers such great information for help with all types of problems with our pets. Hi Rebecca, thank you I’m glad you like it! I was amazed when I put this music on for my senior dog Red – she relaxed in seconds, literally. When I bought the CD and read about the research, and how the project came about, I was truly impressed. I highly recommend this and they have a version for cats as well. 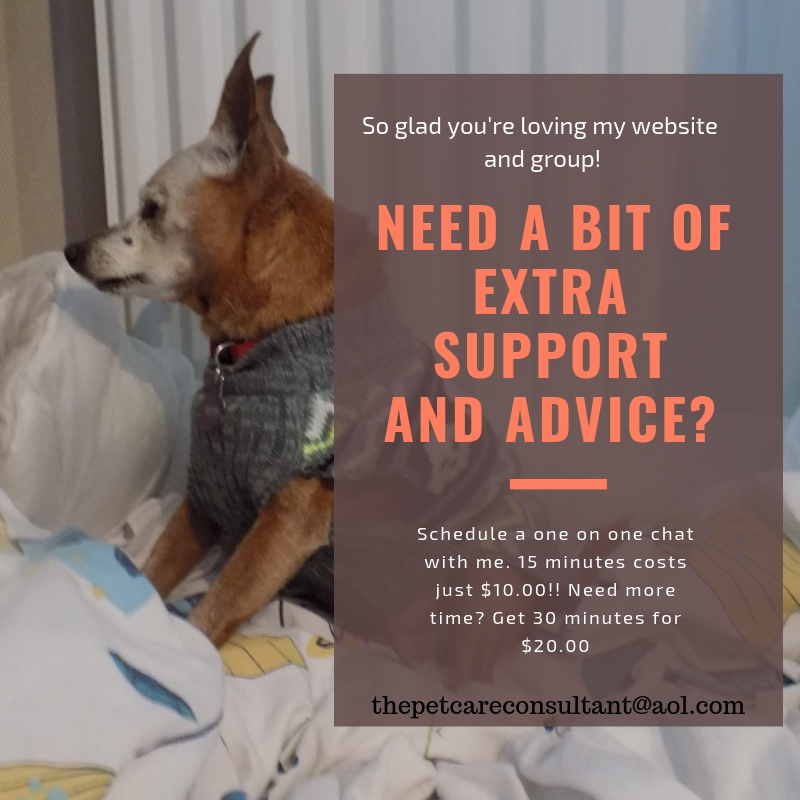 My goal is to create a one stop resource for people who share their lives with senior dogs, and I’m just getting started!. I have two rescue dogs since they were puppies from the same litter. “Calvin and Hobbes” are now 11 yrs old. As far as we can tell they are chiwuawua/schnauzer and weigh about 18 lbs. (best dogs ever). we had noticed that Calvin seems to be aging a little quicker than Hobbes and about 3 weeks ago started giving them both a Nutri-Vet brand of Senior-Vite chewable vitamin each day. We thought that Calvin became a little more active after giving him the vitamin for a couple weeks. But 3 days ago Calvin began throwing up. He never throws up right after he eats or takes the vitamin. He will throw up anywhere from 8 to 12 hours after he has eaten. The vomit is a dark brown. He still has a great appetite and wants to eat and and doesn’t act as though he’s sick. We changed his diet to boiled chicken and rice to see if this would settle his stomach. Unfortunately, he still threw up the following morning, and this time I noticed that the rice we had given him had not digested and was mixed in with the dark brown vomit. We’ve called the vet and have an appt scheduled. In the meantime, we stopped giving him the vitamin, since that was the only change in his diet. Do you think the vitamin may have caused this? Do you have any knowledge regarding these vitamins? His brother Hobbes is still taking the vitamin. Thanks so much on any insight. Hi Gayle, love the names!! I’m so sorry to hear what’s been going on with Calvin. No I don’t have experience with those vitamins. but it’s strange he would start vomiting after taking them. You were smart to discontinue them, and of course to make an appointment with your vet. Given the symptoms, and the age of your dog I’m very surprised they didn’t recommend you bring him in immediately. If you haven’t seen your vet by the time you read this reply, I hope you contact them and ask them to see you immediately. Beg if you have to, but waiting in the case of an older dog is never a good idea. Take care and please let me know what happens. Hi Wayne, my dog had lots of heart issues as well. I encourage you to join my FB group Senior Dog Care Club. There is a ton of great advice and wonderful community of senior dog parents to help, just answer the 3 questions and you will be approved.